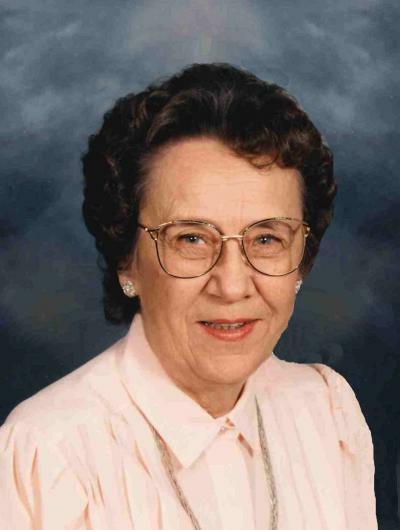 Lila Faye Kucera, 81, of Brownton, died Monday, Nov. 16, 2015, at Hutchinson Health Hospital in Hutchinson. Urn bearers were Travis Rannow, Eric Rannow, Stratan Kucera, Brandon Karg, Samantha Kucera, Hailee Marie Kucera and Dylan Kucera. Interment was in Oak Grove Cemetery in Brownton. Lila Faye Kucera was born June 20, 1934, in Springfield, the daughter of Elmer and June (Schroeder) Hoppe. She was baptized as an infant and confirmed in her faith as a youth. She received her education in Springfield and attended Springfield High School. On Sept. 22, 1954, she was united in marriage to Burton Kucera at Central Lutheran Church in Mason City, Iowa, by the Rev. Harold Kruger. Their marriage was blessed with five children, Sandy, Steven, Tracy, Tammy and Mike. The couple resided in Hutchinson, and then moved to Brownton in 1957. They shared 61 years of marriage. Mrs. Kucera was employed at Glenhaven Nursing Home in Glencoe as a nurse’s aide for 121⁄2 years. She was later employed at 3M Company in Hutchinson for 15 years. She retired in July 1994. She was a member of Immanuel Lutheran Church in Brownton, where she was active in the ladies aid. She was a member of the Brownton American Legion Auxiliary Unit 143. Mrs. Kucera enjoyed bowling, reading and swimming. She also enjoyed trips to the casino. She especially cherished spending time with her family, grandchildren, great-grandchildren and friends. She is survived by her husband, Burton Kucera of Brownton; children, Sandy (Robert) Rannow of Glencoe, Steven Kucera of Watertown, S.D., Tracy (Arnie) Jorgensen of Hutchinson, Tammy Kucera of Brownton and Mike (Elizabeth) Kucera of Midlothian, Virginia; grandchildren, Travis Rannow, Eric Rannow (significant other Jennie Winter), Stratan Kucera, Brandon (Holly) Karg, Dylan Kucera, Samantha Kucera and Hailee Marie Kucera; five great-grandchildren; dear friends, Phyllis Mahnke of Brownton, Jan Urban of Hutchinson and Lois Hansen of Hutchinson; many other relatives and friends. She was preceded in death by her parents, Elmer and June Hoppe; and sister and brother-in-law, Nathalie “Snookie” and Lyle Weedman. Arrangements were with the Dobratz-Hantge Funeral Chapel in Hutchinson. Online obituaries and guest book are available at www.hantge.com.